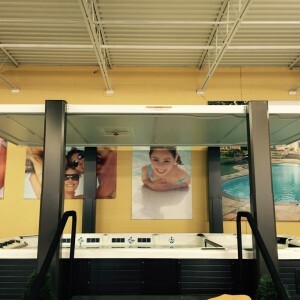 Hot tub covers meet technology! 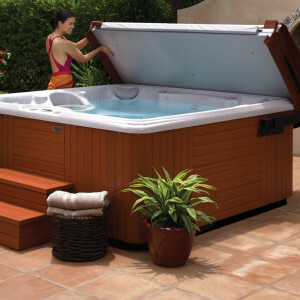 Do not waste another minute lifting your hot tub cover on and off. The Covana removes your cover with a simple a turn of the key. 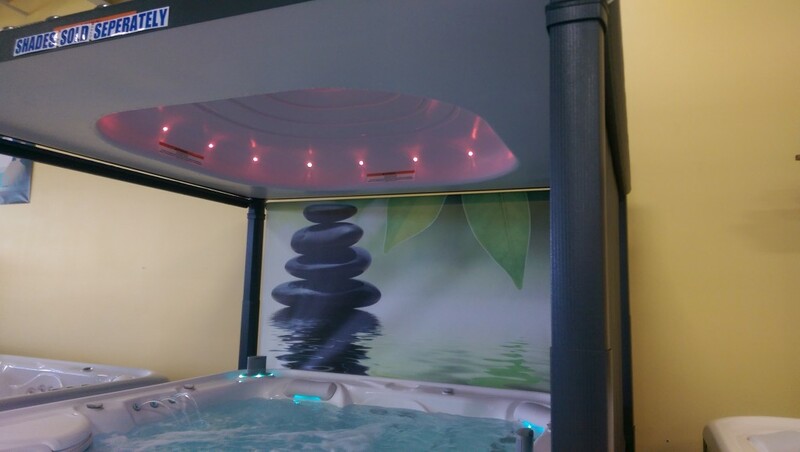 Shift your spa experience from the daunting task of lifting the cumbersome cover to enjoying your spa more often than ever before. 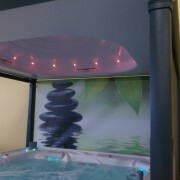 The Covana is an automated all in one spa cover/gazebo enclosure that rises above your spa. 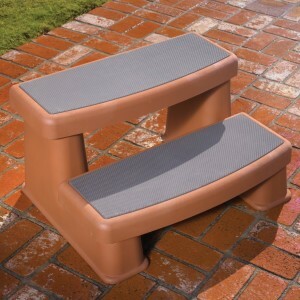 The Covana spa cover is built to provide years of worry free performance and protection. Similar to garage door systems, minimal horsepower is required, lowering the costs and wear and tear on components substantially. 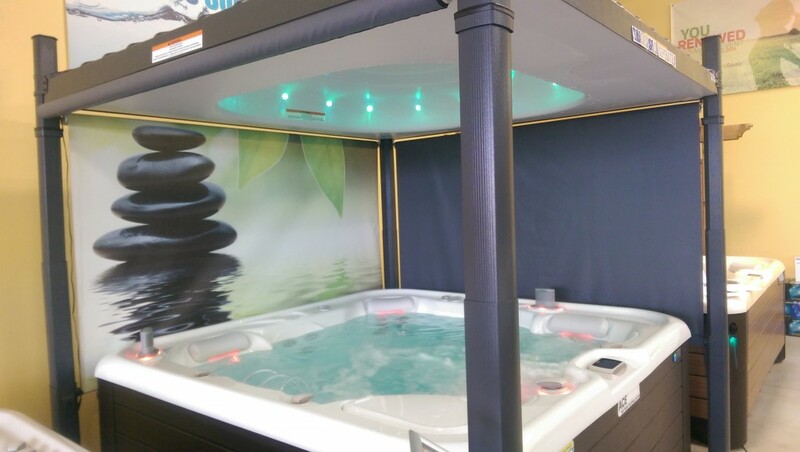 It is a fantastic opportunity for a consumer who may have thought they couldn’t lift a “traditional” spa cover, for instance, seniors and handicapped adults. 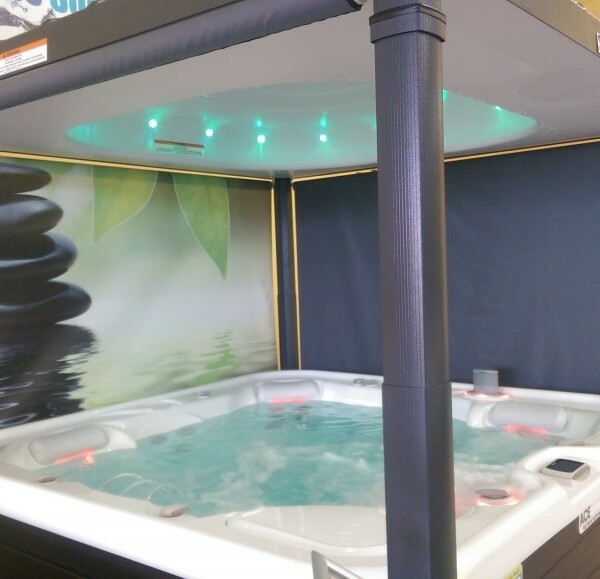 Combining your spa with an automated spa cover will allow you to use your spa more and reap the benefits of hydrotherapy, as well as the added benefit of being able to use your spa in adverse weather conditions with the protective shades. Whether you are battling wind, sun or bugs, the Covana cover will protect you. The overhead canopy provides excellent protection from harmful UV rays, rain or snow. The Covana cover also offers considerable energy savings by reducing water loss through evaporation and reducing your heating bills. The use of polyurethane foam gives the Covana an insulation value of R-25 while the seamless design reduces the evaporation of water and chemicals.